1969 Pohjolan Kaapeli Oy, a subsidiary of Oy Nokia Ab, founded its wiring harness factory. Deliveries to Saab began. What has happened after that? In 2014 PKC celebrated its 45th anniversary. During those years a small Nordic operator has grown into a succesful global corporation. PKC’s story begins with Pohjolan Kaapeli Oy, a subsidiary of Nokia, establishing a wiring systems factory in 1969 in Kempele, Finland. The plant produced wiring systems for both passenger cars and commercial vehicles. During the early years, company gained two significant customers that paved the way for the growth and success of the company long into the future: Saab (Saab-Valmet and Saab Scania) and Volvo (Volvo-Auto Ab). A supplier agreement with the Saab Valmet car plant in Uusikaupunki created for PKC excellent conditions for it to develop its business. In terms of internationalisation, PKC was a pioneer of its day, as it actively sought customers from abroad, above all in Sweden. In 1981, Pohjolan Kaapeli Oy merged with Oy Nokia Ab. The company invested strongly in the quality of production and customer service, and PKC’s competitive advantages, unique expertise and mass-tailoring, were key success factors even back then. Our expertise and professionalism were valued by customers and company won many quality awards. The wiring systems business was practised under the name of Nokia Kaapeli Oy in 1989 and Nokia Johdinsarjat Oy from 1990 to 1994. As price competition intensified in the global automotive market, competitiveness was strengthened by starting subcontracting in Estonia and Russia. The internationalisation of the clientele continued when General Motors of the USA became a customer as a result of the cooperation with Saab. In a challenging market situation, an important decision was made with regard to the future to focus on the company’s strongest field of expertise: the design and manufacture of electrical distribution systems for commercial vehicles. In 1994, the company’s owner at that time, Nokia, decided to concentrate on telecommunications, as a result of which the wiring systems business, among others, was put up for sale. Buyers were found among the company’s executive management, and long-term customers also gave their support to the buy out plans. As a result of the management buy out, PK Cables Oy came into being. In order to internationalise together with its customers, the new company needed additional financing, which it obtained by listing on the Helsinki Stock Exchange in 1997. After listing, PKC continued its international growth. The same year PKC established its first subsidiary in Brazil. 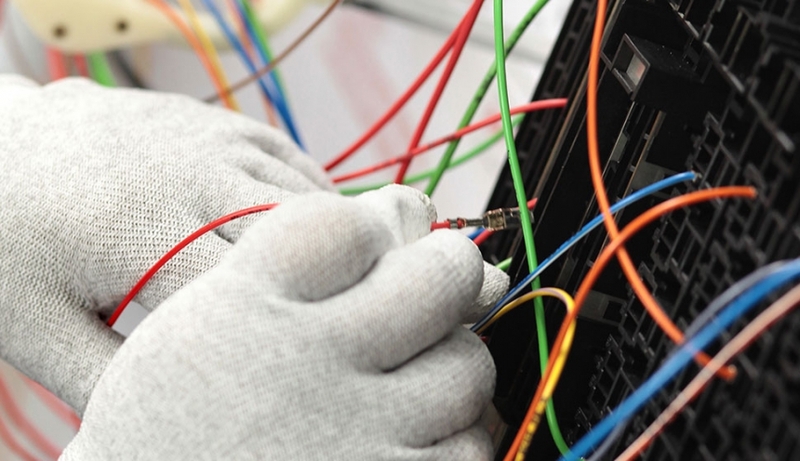 Between 1999 and 2004, wiring systems were also made at PKC’s plant in the Netherlands. The Estonian production, which up until then had been carried out as subcontracting, was bought by the Group in 2002, and Russian production followed in 2003. The present Electronics business had previously been acquired in 1998. During the years of strong growth, PKC expanded its activities to new continents. Asian operations were started in 2005 with the setting up of PKC’s Chinese subsidiary. The company had started operations in North America a year earlier, and in 2005 operations there expanded significantly with the acquisition of the Electro Canada Group. Through the acquisition, PKC became the main global supplier of wiring harnesses to Bombardier Recreational Products. The first years of the 2000s were a time of international expansion, but only the beginning of the Group’s global growth. In 2008, PKC bought Man Nutzfahrzeuge AG’s wiring systems business in Poland, and gained the MAN Group’s significant commercial vehicle customership. A strategically significant foothold in the important commercial vehicle market of Central Europe was strengthened with the next acquisition, when in 2011 PKC bought the Segu Group, which had operations in Germany, Poland and Ukraine. The most significant corporate acquisition in PKC’s history took place in 2011. It was then that the company bought North America’s leading manufacturer of truck wiring systems, AEES. As a result of the acquisition of the AEES Group, PKC’s revenue doubled and its clientele expanded significantly. New customers acquired as a result of the deal included Daimler Trucks NA, Navistar, PACCAR and Ford. After the period of acquisitions, 2012 was a time to integrate functions. Acquisitions brought to the Group new technologies and greater opportunities for the development of customer relationships and cross-sales. PKC’s headquarters in Finland were transferred from Kempele to Helsinki. At the same time, the focus turned increasingly towards Asia and its strongly growing and developing commercial vehicles markets, for whose needs PKC offers highly suitable high-technology solutions.